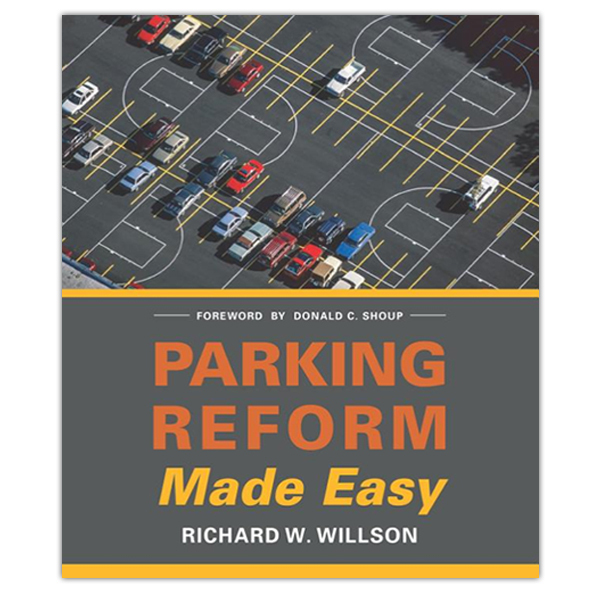 Author Richard W. Willson argues that many of today’s parking problems stem from outdated minimum parking requirements. In this practical guide, he shows readers how to reform parking requirements in a way that supports planning goals and creates vibrant cities. But making effective change requires more than relying on national averages or information from neighboring communities. Instead, Willson shows how readers can confidently develop their own requirements based on local parking data, an understanding of future trends affecting parking use, and clear policy choices. Case studies are used to illustrate what works, what doesn’t, and how to overcome challenges. Willson also explores the process of codifying regulations and how to work with stakeholders to avoid political conflicts. With Parking Reform Made Easy, readers will learn, step-by-step, how to update parking requirements. The result will be higher density, healthier, more energy-efficient, and livable communities. How Do Parking Requirements Work? Reform or Eliminate Parking Requirements? Parking Reform Made Easy is guaranteed. If you are not 100% satisfied, you may return it within 30 days for a full refund.